On Sept. 14, 2014, a screaming sea of red bandanas hurled insults at the University of Spoiled Children as the raucous crowd lifted Boston College football to a 37-31 upset of the No. 9 Trojans. Just like that, a tradition was born. The annual Red Bandana game, which honors fallen 9/11 hero Welles Crowther, BC ’99, certainly began with a bang. And it’s no coincidence that the Eagles’ most impressive win of the last decade came during Crowther’s tribute. Inspired by his life-saving mission during the 2001 terrorist attacks, players and fans alike appeared invigorated with energy. BC’s uniforms featured red bandana-themed designs and fans sported actual red bandanas, courtesy of the athletic department. The atmosphere was just enough like Tuscaloosa to fool USC for a night. Slowly but surely, though, the Eagles’ best tradition is drifting away from its Red Bandana roots. And, in part, it’s a product of its own success. Instead of memorializing Crowther’s 9/11 heroics by scheduling the Red Bandana game in the first couple weeks of September, BC chose its Friday, Oct. 23 matchup with Florida State for this year’s tribute. Since the first game, the date has steadily been pushed back to accommodate big-name opponents at marquee times and dates. What started as a red bandana helmet sticker to commemorate the 10th anniversary of the Sept. 11 attacks has become a marketing tool to be used for nationally-televised games. Not to say that scheduling the Red Bandana game in late October is some sort of injustice against Crowther. But it doesn’t feel quite right, either. Because in the end, this is about Welles. 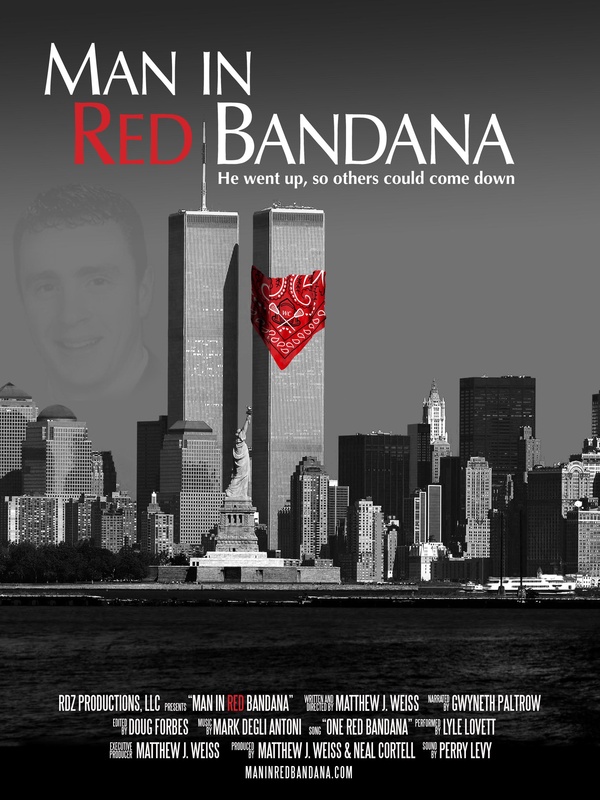 It’s about the red bandana he carried with him from his days on BC’s lacrosse team until his last moments in the South Tower of the World Trade Center. Crowther used the fabric to cover his face and shield himself from smoke and debris while he led over a dozen survivors to safety on the ground. He carried one woman down 17 flights of stairs amidst the chaos. Then, Crowther did the unthinkable: He went right back up. There were more people who needed rescuing. The legend of Crowther could be recognized and praised on any day of the year, and it’d still be powerful. But there’s something about holding the Red Bandana game closer to the Sept. 11 anniversary that feels more genuine and significant. Think about how hype next Saturday’s matchup with Notre Dame would be if a red bandana chapter was added to their storied rivalry. Or how different last Saturday’s loss to Wake could have been under the right atmospheric circumstances. Next year, Martin Jarmond, the new Director of Athletics and former football schedule specialist at Ohio State, should work to ensure a better fit for the Red Bandana game. Whether that means lobbying for a night game earlier in the season or settling for a nationally-televised afternoon game against an prime opponent like Notre Dame, either option signifies a step in the right direction. Most institutions struggle to find model representatives, but BC is lucky enough to boast two real-life heroes as alumni (see: Pete Frates). As the University celebrates Crowther, it needs to be wary of using his image as a marketing tool. Otherwise, one of the most meaningful traditions in college sports is at risk of becoming just another theme. Riley, I agree with you 100%. You should inquire with the Athletic Department as to how the date of the Red Bandana Game is determined; my guess is that ESPN dictates the date. I am fearful that what quickly has become a great tradition, which BC lacks, will fall victim to marketing. https://uploads.disquscdn.com/images/e330e467a5f4726ac0849388c194d7137c1c6abee7ebef68524e3e78ebace539.jpg The Red Bandana game is featured in the new documentary film about Welles called “Man In Red Bandana”. It is available on iTunes or Amazon. When we filmed, it was still in September.